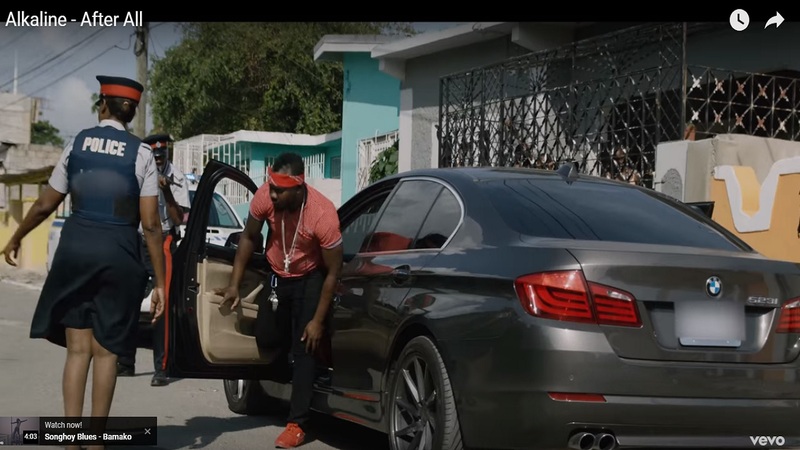 Screenshot of Alkaline's controversial 'Afterall' video showing persons dressed in police uniforms. At least four police officers are facing possible disciplinary sanctions after an investigation identified that they played roles in Alkaline's controversial 'After All' video that featured scenes of guns, trigger-pulling, weed-smoking, criminality and corrupt cops. Deputy Commissioner of Police Clifford Blake told Loop News reporter Claude Mills that the investigation was progressing swiftly, and that "we have all information now". "We are doing two investigations, an administrative investigation, and there is another investigation to determine whether the guns used in the video are authentic or props, and that one is being done by the C.I.B," DCP Blake said. The investigation had been ordered by Commissioner of Police George Quallo after a big brouhaha erupted over the negative portrayal of cops in the video. 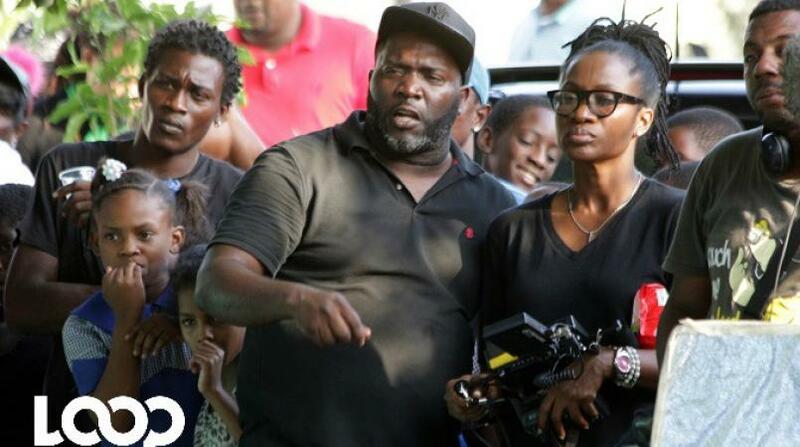 “I can confirm that we have identified at least four police personnel in the video, we know that a marked police car was used and which section the vehicle was assigned to, and we will be following our internal procedures. I cannot speak to suspensions, we will have to wait on due process. Once the investigation is completed, if they are found guilty, then the decision will lie with the Commissioner of Police as to what sanctions will be applied," he said. It is understood with the JCF that activities which are not consistent with policy guidelines and any duty conducted outside of the official programme is a breach of the JCF’s Anti-Corruption Policy. Hence, policemen and women of the force know that approval must be sought through the office of the Commissioner of Police for members to engage in private service. DCP Blake stressed that all requests for private service of members are to be forwarded to the Office of the Commissioner of Police on the prescribed form and within the prescribed period of notice. "There is a process, officers who wish to appear in movies or videos, must apply to the Commissioner's office and give details , and then a decision will be taken whether they can participate in these activities," he said. In 2011, after the fatal shooting of a member of dancehall deejay Mavado's entourage by a policeman outside a New Kingston nightclub, police commissioner at the time, Owen Ellington, in his Force order, said he had taken note of several incidents which have attracted national attention, in which members of the JCF and its auxiliaries are engaging in extra work arrangements. These arrangements included working as body guards, promoters, stakeholders and participants in dances and stage shows, where breaches of the law are being committed, and the driving of public passenger vehicles.